Not far from Jackson, right in the heart of Star Valley, is home to something truly unique. Yellowstone Natural Salt Company produces some of the purest and best tasting mineral salt in the world, and they are doing it right here in Wyoming. Salt is typically produced two ways, both of which can leave unwanted chemicals and additives in the final product. Table salt is usually mined from deposits deep underground. In order to extract the salt, and other minerals found with it, the deposits are blasted out with dynamite or other explosives, which leave a chemical residue on the salt. Evaporated sea water, another common way to obtain salt, contains many of the leftover pollutants in our ocean water. Over the Salt River pass along the Salt Creek is where the magic starts. That’s not quite true, the whole process actually starts deep underground in the artesian aquifer around 400 feet beneath the surface. 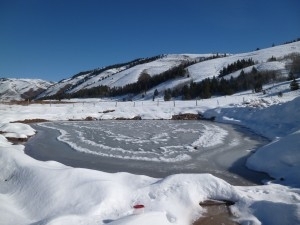 The water that comes up to the surface, filling the Erikson’s small collection pond, then runs through earth rich in mineral deposits from the prehistoric Lake Bonnevile. I recently visited their site and was amazed when I tasted the water coming up from the ground. It was similar to briny ocean water but with a considerable amount of sweetness. From the spring, the water is trucked up to their drying facility in Afton. A large greenhouse surrounded by natural hot springs provides the perfect amount of year-round heat to evaporate the water into perfect salt crystals. Oak-wood pans line the bottom of the facility, and the drying process takes around three weeks in ideal conditions. The final product is then harvested using only wood tools and packaged in Afton. 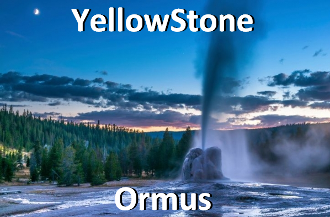 Locally collected Ormus minerals made with gourmet Dead Sea Salt, YellowStone salt, and harmonically structured water.